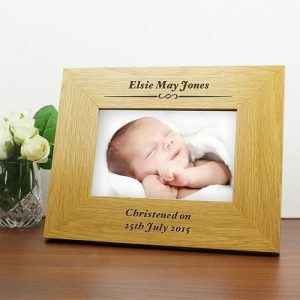 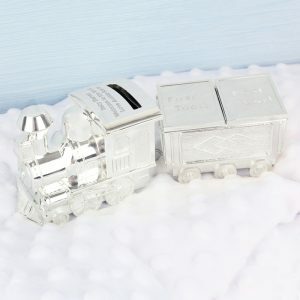 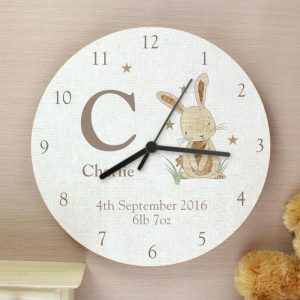 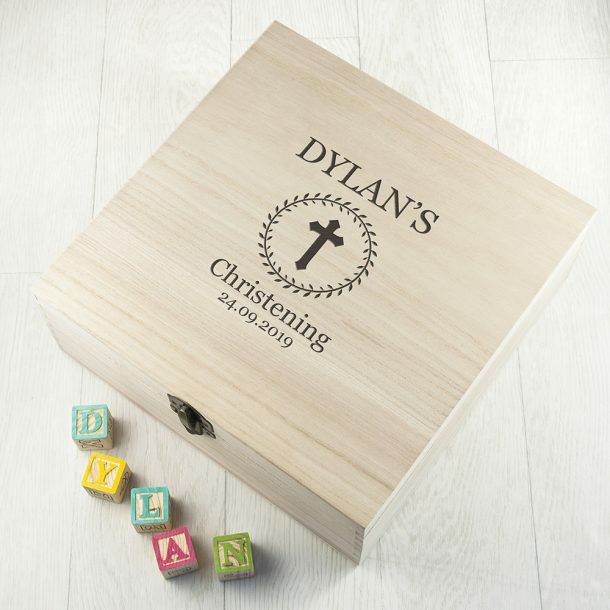 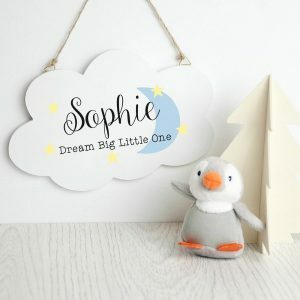 Our Personalised Christening Memory Box is the perfect place to store precious keepsakes. 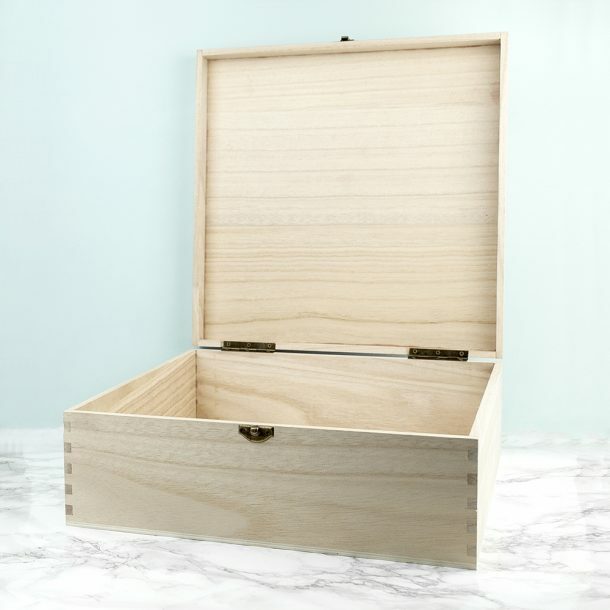 Made from pine wood, this spacious and deep box is hand finished so it visibly show the wonderful grain, is fitted with a hinged lid and hand painted. Decorated with a cross and leaf wreath design on the lid, its a gorgeous gift for a Christening. 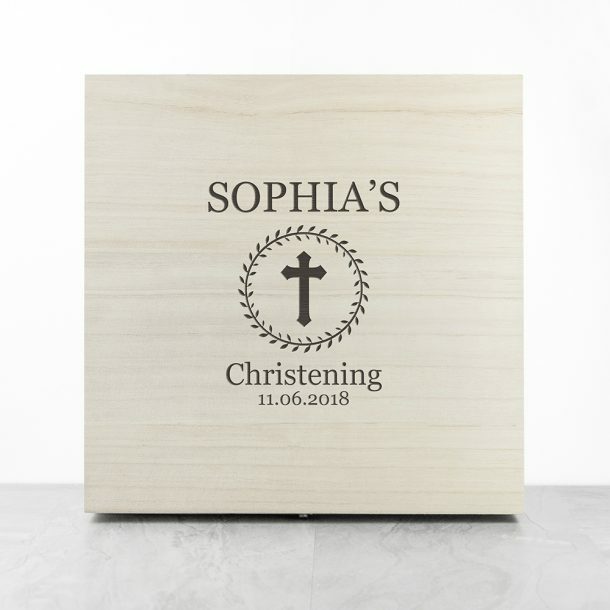 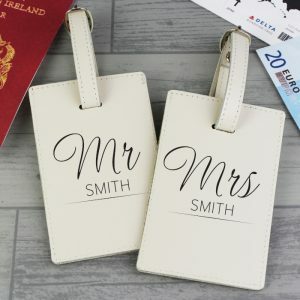 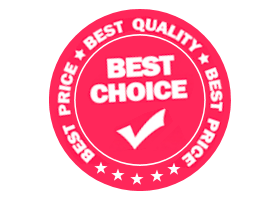 With space below to add a name and memorable date which our team will engrave to a flawless standard, its sure to make the recipient feel really special.